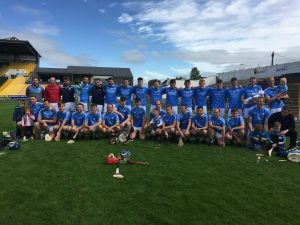 The Final of the JJ Kavanagh Junior “B” Hurling Championship Final took place in Nowlan Park on last Sunday 9th September. 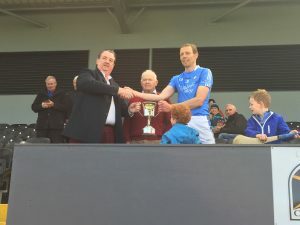 It was a repeat of the Junior League Final pairings and as GBC and O’Loughlin Gaels took to the field, a close contest was anticipated by the large attendance. These expectations were vindicated in the opening quarter as both teams struggled to find scores. Slowly GBC got the better of the exchanges and build up a seven point lead coming close to the half time break. However O’Loughlin’s brought the score back to four points with a goal and despite playing with the assistance of a strong wind, GBC went into the break only four points up. Half –Time Score: GBC 0-10 O’Loughlin Gaels 1-3. Supporters were anxious as the second half started and expected a strong challenge from the city side and when they opened the scoring with a point from an early free, it appeared that the crowd were right to be concerned. However, from then on, GBC got into their stride and totally dominated the game to the end. The locals put on a superb display of hurling and with great team work started to score at will. They quickly built up a commanding lead which they were never to relinquish. 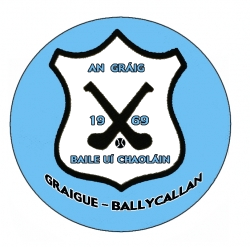 The GBC defence dealt admirably with the O’Loughlin’s attacks on goal, and up front the forwards combined well as was reflected on the scoreboard. Fifteen minutes from the end the result was inevitable and for the first time since 2006 GBC brought home the Junior B Trophy. 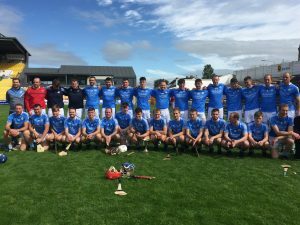 Team: P.Dunphy, M.Fitzpatrick, J.Ryall (C), E.Corcoran, P.Robinson(VC), T.Dunphy, K.Egan, W.O’Connor, C.Murphy, C.Hogan, D.Ryall, T.Ryan, A.Brennan, J.Dermody, E.Brennan. Subs Used: R.O’Neill, S,Hennessy, P.Cahill, E.Walsh, J.Dermody. Scores: C.Murphy 0-8(5 fs), J.Dermody 1-4, A.Brennan 1-1, E.Brennan 0-3, D,Ryall 0-1, C.Hogan 0-1. 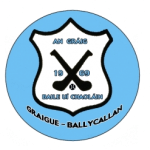 Next Post:U10 Camogie Team end season on a high note!